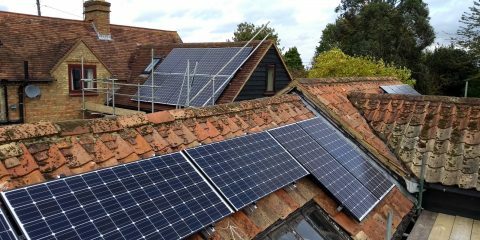 We specialise in designing and installing solar PV and battery storage systems for homeowners in Bedfordshire and surrounding counties. Is Solar PV right for me? 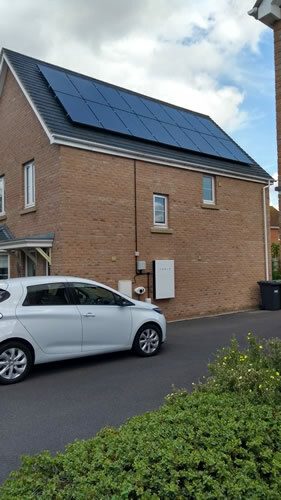 Most houses could reduce their energy bills substantially with solar PV panels, and even more so when paired with batteries and an electric vehicle. Take a look at our case studies to see some of our past installations. 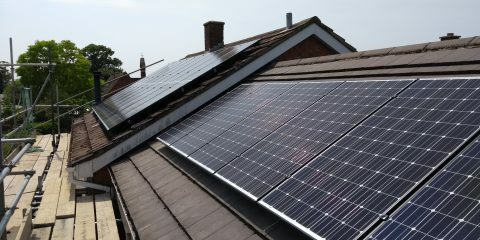 Many of our clients have solar PV panels, and wish to upgrade or get more out of their system. We can advise on the optimising your generation with the latest energy saving technology, from Tesla batteries to solar immersion controllers. We are a small, local business and we value each and every one of our clients. We take pride in our workmanship and will not cut corners on your job. Find out more about on our About us page. We are professional installers with high standards. We are accredited members of the MCS, NAPIT and RECC. All of our workmanship is guaranteed. We choose to install the best products available from across the market. We make sure all products have high reliability and long warranty periods. We know that one size does not fit all. All our installations are designed according to the specifics of our customers needs and budget, and with an emphasis on the long term benefits. We are a family run independent business, with an emphasis on reliability and quality workmanship. 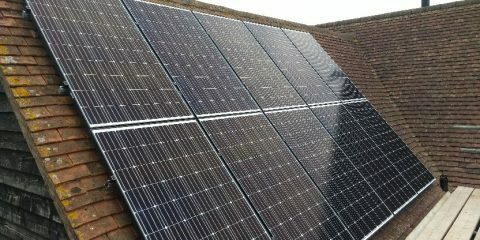 We have been installing renewable solutions since 2011. We offer independent friendly advice on what options work best for our clients, and always ask for feedback. We care about our reputation. Based in Bedford, we also cover Milton Keynes, Bletchley, Leighton Buzzard, Flitwick, Biggleswade, Sandy, St Neots and nearby villages in Bedfordshire, Buckinghamshire, Cambridgeshire, Hertfordshire and Northamptonshire. We understand that renewable energy is a long term investment. Our aim is to help our customers become more self-sufficient by installing solutions that help lessen their reliance on the grid. 7 Bed 1980’s Farmhouse Case Study Location: Colchester, Essex 1980’s farmhouse in rural location. JA Solar Smart panels. Also installed energy monitoring and immersion heater controller. Allows client to be a ..
5 Bed 1960’s Property Case Study Location: Great barford, Bedfordshire 1960s property with extensions. High electricity usage with ponds, pools and air conditioning. Panasonic HIT hybrid panels. Installed monitori ..
3 Bed 1830’s Rural Property Case Study Location: Haynes, Bedfordshire 1830’s rural property, 3 bedrooms. 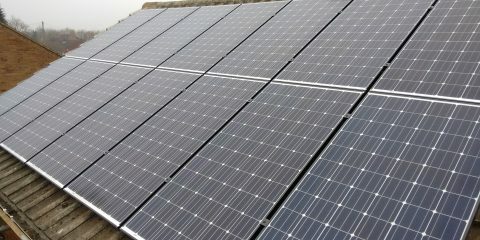 3 arrays, 2 different orientations, 2 different panels, all connected to a single inverter. Panasonic HIT hy ..
3 Bed 1960’s Property Case Study Location: Marston Moretaine, Bedfordshire 1960’s property, 3 bedrooms. Panasonic HIT hybrid panels. Installed monitoring to allow client to see when to best make use of elect ..